Hudson-Sharp Machine company is a world-famous company working in a flexible packaging industry. It is also well-known for its pouch making equipment and reclosable packaging solutions. Hudson Sharp has been working in the market for more than 100 years already. It is the first brand to consider when your company needs wicketers and flexible packaging solution. Euro Machinery knows the brand Hudson Sharp very well, and we have sold this brand for many years. We often have quite a few wicket bag-making machines in our database of the brand Hudson Sharp, and it is a very popular brand. 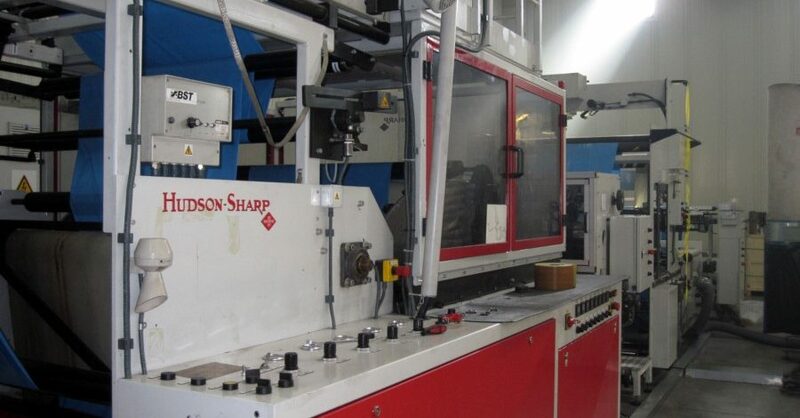 If you wish to buy or sell Hudson Sharp bag- making machines please contact us.